Do you agree or not readers? I totally believe in this idea because when someone tells you about starting diet days, you instantly start feeling hungry. With this feeling, you will be able to do a diet for 1 week. Then gradually you will be demotivated. I tell you the reason why people feel demotivated after a short period of time. It’s simple, you stress a lot on the word-diet. According to science, eating habits has some driven force inside us which makes us eat like hell. Food for you is a pleasure. The thought of foods is continuous. You say it to yourself, I have eaten dash-dish before a week so I can eat today. You don’t know readers but these all habits are affecting you and stopping you from being fit. We understand your phycology and therefore, we have tried to help you with starting your journey being fit. Your eating starting from the morning should be like a king and dinner should be light. Light in terms of low-calorie foods! We have hand-curated some of the lightest dinners & that too easy to make are here. You can also check out Immunity Boosting Recipes For 50 & Above Revealed and 14 Diabetic Recipes To Overcome Your Food Cravings. Click the image for full view of recipes. Even Bhel can be made healthy and readers this will taste so yummy. Besides the fact that it’s India’s famous street food, you can still enjoy that same street taste at home. This Bhel has some new Hello fresh ingredients which will gel up so good with the same old taste. 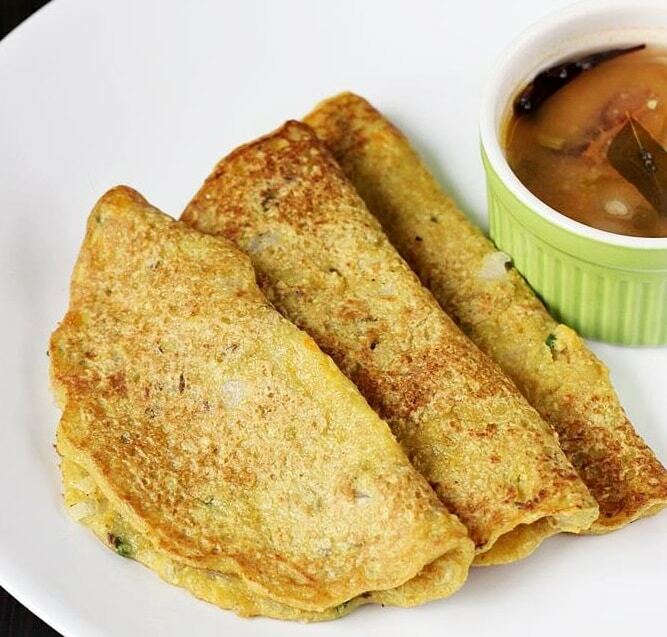 It’s the most epic fat-free chilla you can eat in your evening dinners. Oats has one superpower with it. It has antioxidants which fight & slow down the carbohydrates and control your blood sugar & insulin level. So how about fighting your own demons inside? Start cooking healthy. 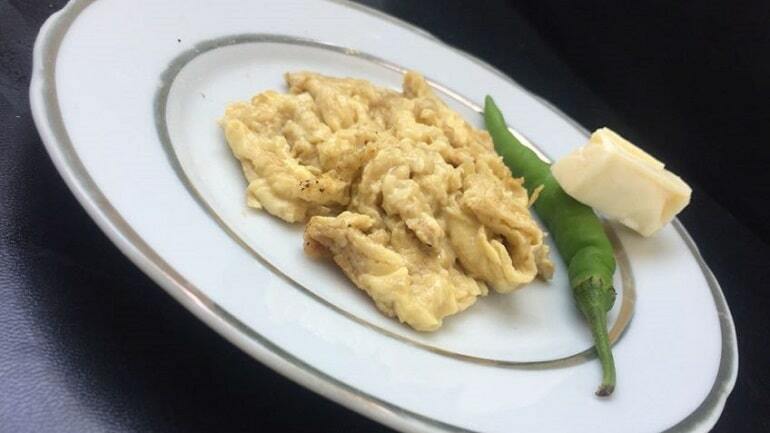 Soft and Fluffy Scrambled Egg a healthy cuisine with a French origin. Why it will be yummy because it has eggs! Come on I mean! When you don’t know what healthy dishes you cook tonight, go for eggs. Eggs will increase your stamina level when you go for exercise the next morning. We usually call it ‘aada dosa’ also. 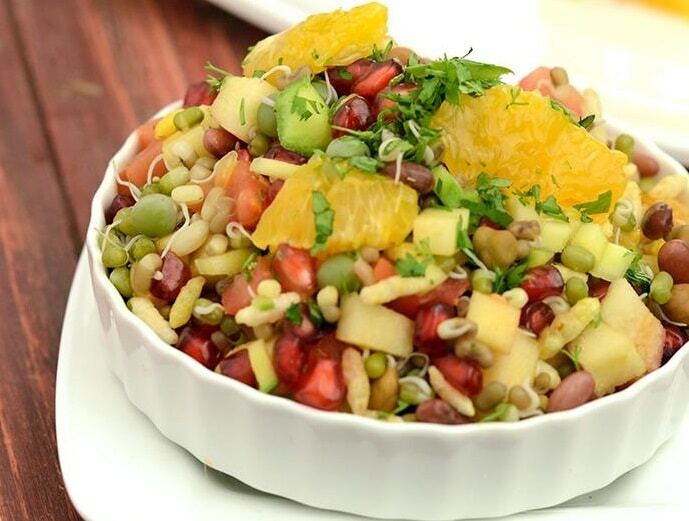 This has four grains like Moong Daal, Horse gram, Toor Daal & Black gram Dal. Please do not eat this after 9 o’clock in the evening because it has a high protein in it and you need to digest it before sleeping. Are you missing Chicken? 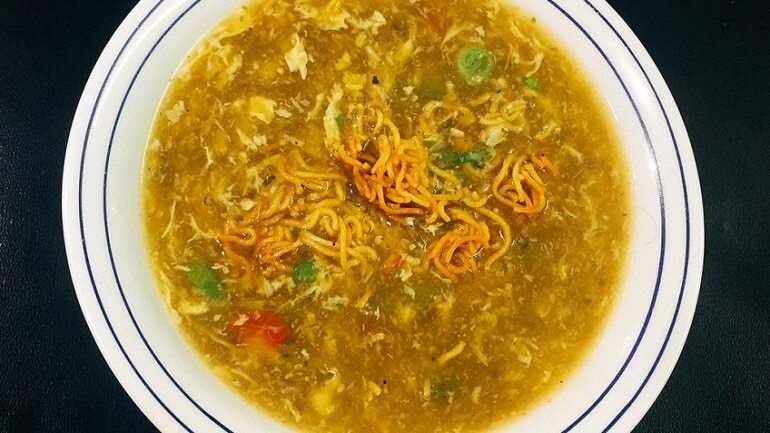 Try this Chicken Manchow Soup Indo-Chinese recipe. It is usually served with crispy dry noodles. A small treat to your dinner pack! This will be a very light dinner recipe. Accompany it with protein-rich daal. Enjoy the sweet tangy taste in your mouth. 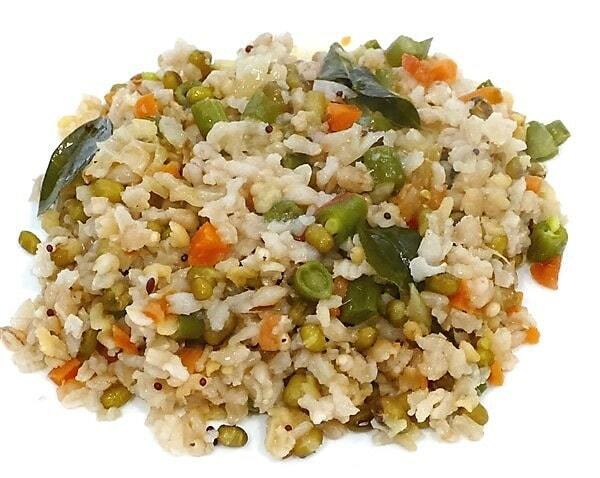 Do you know that Khichdi is Ayurvedic food which is being cooked for ages & it helps in detoxifying your body? If you realize you can tweak many recipes being on your healthy goals. This Porridge has everything you need: lots of fiber & lots of protein. 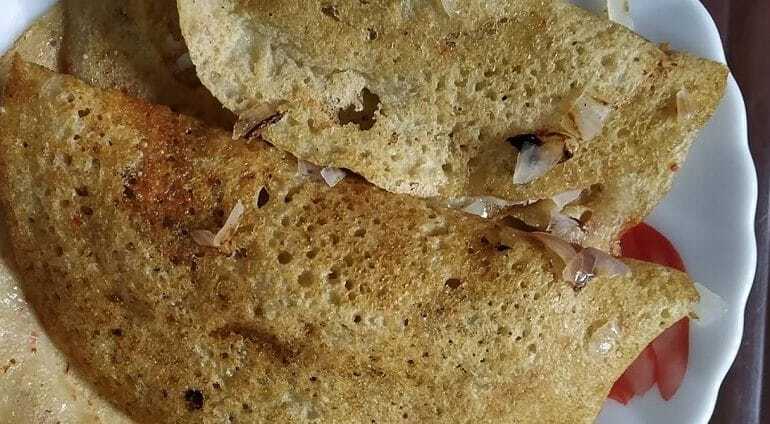 At our home, we make more than 3 types of chaats but this style will change the definition of the chaats. 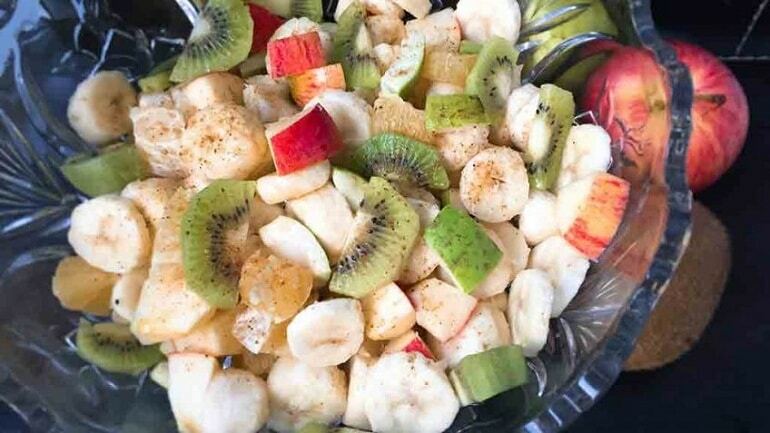 This fruit chaat is a completely juicy dish that will help you to clean up your body dirt. This will be a nice idea to have it in dinner with some seasonal fruits. 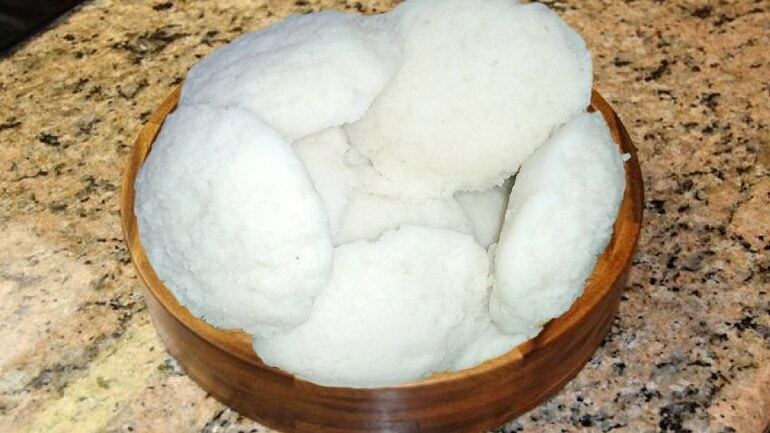 You can add Ruhabza also in it to freshen up your evening mood. Have you ever heard of this? 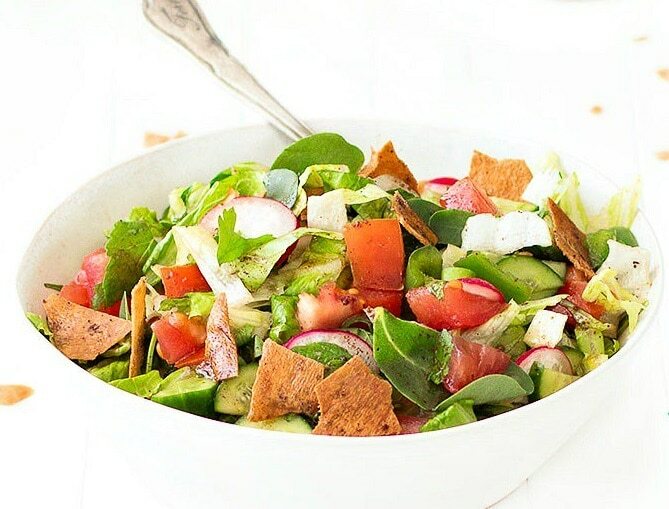 If not then let me introduce you to the Lebanese salad called Fattoush. 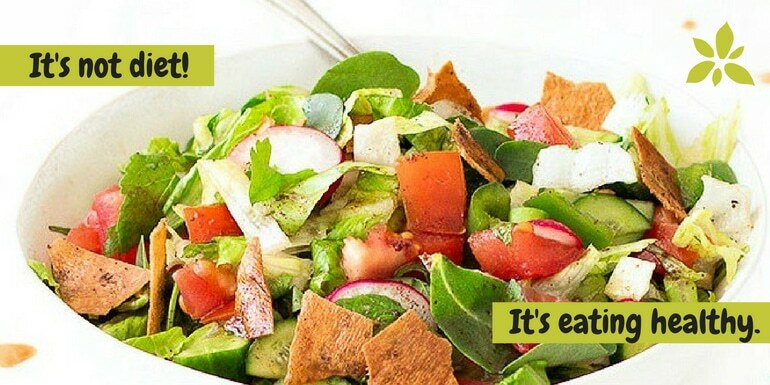 It is tasty, crunchy, colorful and full of new flavors. It has a sweet tangy dressing. It includes vegetables, herbs & Arabic toast bread. Sprouts are the most healthy option for during your diet. If you like it or not but it has the richest source of protein to enhance your body stamina. Sprouts make your digestion better. 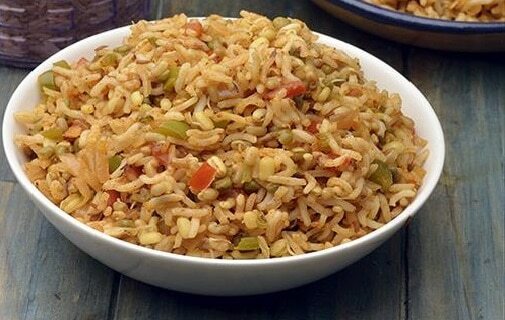 In this Pulao, include brown rice to it to make it more healthy and add mint flavor and see the charisma of it. You know what is the most important gift the God has given? It is your body. It’s your responsibility to take care of your body inside & out. Give it herbs as much as possible. Talk to your body & understand the harm you have done till now to your body. Make your body proud of you. 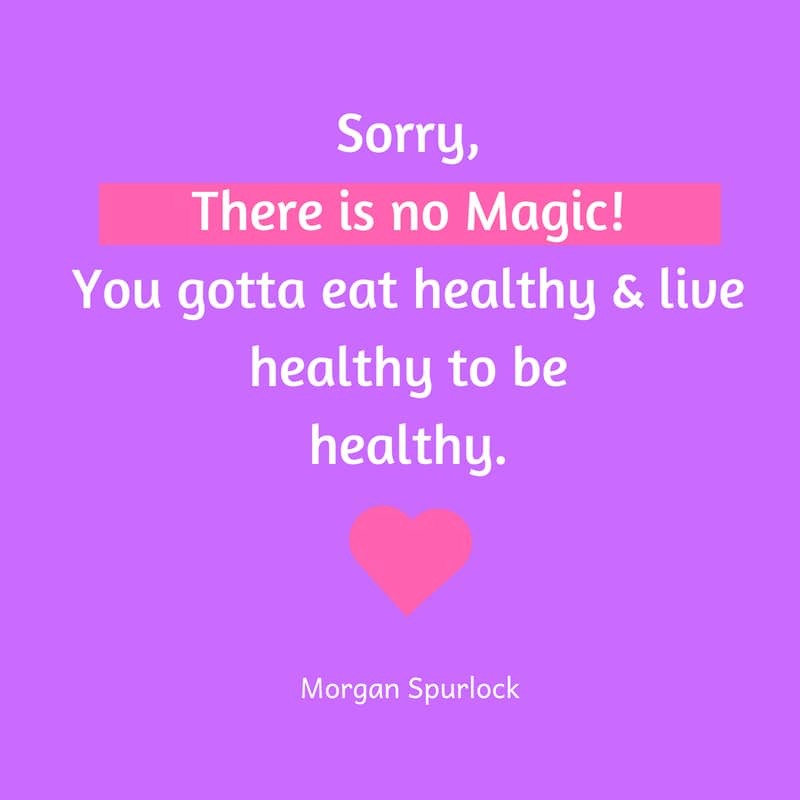 Eat healthy, repeat it & see the magic!